1 inch by 1 1/2 inches. 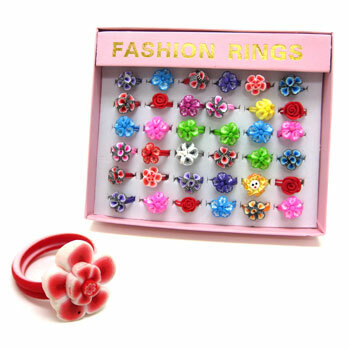 Soft banded floral ring, assorted colors and styles. 36 rings per box. $7.20 per box for 18 boxes or more. $6.40 per box for 36 boxes or more.